If you operate a wireless network for your home or business, it's important to protect it against opportunistic hackers seeking to steal your data or hijack your Wi-Fi for their own nefarious purposes. We spoke to Steven Andrés, CTO of security consulting firm Special Ops Security, to learn about the best ways to lock down your Wi-Fi. To get started, you'll need to log in to your router's administrative console by typing the router's IP address into your Web browser's address bar. Most routers use a common address like 192.168.1.1, but alternatives like 192.168.0.1 and 192.168.2.1 are also common. Check the manual that came with your router to determine the correct IP address; if you've lost your manual, you can usually find the appropriate IP address on the manufacturer's website. The first step in securing your network is simple: Change your passwords! Default router passwords like "admin" are seductively simple to remember, but that means they're equally simple for a hacker to guess; there's even a public database containing default login credentials for more than 450 networking equipment vendors. Though no password is foolproof, you can build a better password by combining numbers and letters into a complex and unique string. 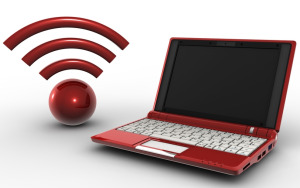 Remember to change both your Wi-Fi password (the string that guests enter to access your network) and your router administrator password (the one you enter to log in to the administration console--the two may sometimes be the same). Andrés suggests that you change your passwords to something unique--no pet names--and then write them down on a piece of paper and tape them to your router for safekeeping. RouterPasswords stores default login credentials for most consumer routers. Great if you've forgotten your password; terrible if you don't change it afterward. Every wireless network has a name, known as a Service Set ID (or SSID). The simple act of changing that name discourages serial hackers from targeting you, because wireless networks with default names like "linksys" are likelier to lack custom passwords or encryption, and thus tend to attract opportunistic hackers. Don't bother disabling SSID broadcasting; you might be able to ward off casual Wi-Fi leeches that way, but any hacker with a wireless spectrum scanner can find your SSID by listening in as your devices communicate with your router. If possible, always encrypt your network traffic using WPA2 encryption, which offers better security than the older WEP and WPA technologies. If you have to choose between multiple versions of WPA2--such as WPA2 Personal and WPA2 Enterprise--always pick the setting most appropriate for your network. Unless you're setting up a large-scale business network with a RADIUS server, you'll want to stick with WPA2 Personal encryption. Running ipconfig will display your current network configuration. Every device that accesses the Internet has a Media Access Control (MAC) address, which is a unique identifier composed of six pairs of alphanumeric characters. You can limit your network to only accept specific devices by turning on MAC filtering, which is also a great tip for optimizing your wireless network. To determine the MAC address of any Windows PC, open a command prompt (select Run from the Start menu), type cmd and press Enter (Windows 7 users can just type cmd in the Start Menu search box). Next, at the command prompt, type ipconfig /all and press Enter to bring up your IP settings. If you're using Mac OS X, open System Preferences and click Network. From there, select Wi-Fi from the list in the left-hand column (or Airport in Snow Leopard or earlier), click Advanced... in the lower left, and look for 'Airport ID' or 'Wi-Fi ID'. If you need to find the MAC address of a relatively limited device such as a printer or smartphone, check the item's manual to determine where that data is listed. Thankfully, most modern routers display a list of devices connected to your network along with their MAC address in the administrator console, to make it easier to identify your devices. If in doubt, refer to your router's documentation for specific instructions. Dynamic Host Configuration Protocol (DHCP) makes it easy for your network to manage how many devices can connect to your Wi-Fi network at any given time, by limiting the number of IP addresses your router can assign to devices on your network. Tally how many Wi-Fi-capable devices you have in your home; then find the DHCP settings page in your router administrator console, and update the number of "client leases" available to the number of devices you own, plus one for guests. Reset your router, and you're good to go. Finally, enable the Block WAN Requests option, to conceal your network from other Internet users. With this feature enabled, your router will not respond to IP requests by remote users, preventing them from gleaning potentially useful information about your network. As Andres puts it, "the ‘WAN' is basically the Internet at large, and you want to block random people out there from initiating a conversation with your router." Once you've taken these steps to secure your wireless network, lock it down for good by disabling remote administration privileges through the administrator console. That forces anyone looking to modify your network settings to plug a PC directly into the wireless router, making it nearly impossible for hackers to mess with your settings and hijack your network. Update your passwords every six months or so, use intrusion software like NetStumbler to test your networks periodically for fresh vulnerabilities, and enjoy your newfound peace of mind.